Glam meets traditional. The Ellen collection by Jennifer Taylor Home is the perfect balance of glam and traditional. Crafted beautifully with solid kiln dried birch wood, upholstered with high quality fabrics, and accented with a single hand tuft, decorative cords, and fringes along the bottom, this ottoman brings class and lounging comfort to any room in the home, whether it’s used as a footrest or additional seating for guests. 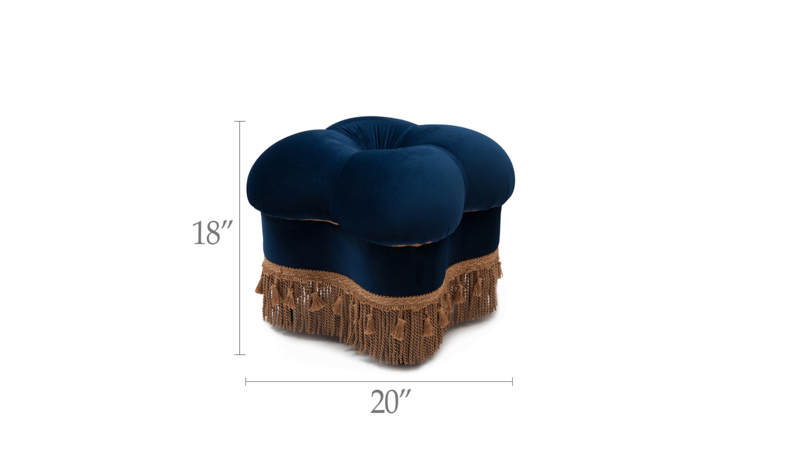 The Ellen Ottoman is the perfect balance of glam and traditional. Crafted beautifully with solid kiln dried birch wood, upholstered with high quality fabrics, and accented with a single hand tuft, decorative cords, and fringes along the bottom, this ottoman brings class and lounging comfort to any room in the home, whether it’s used as a footrest or additional seating for guests. 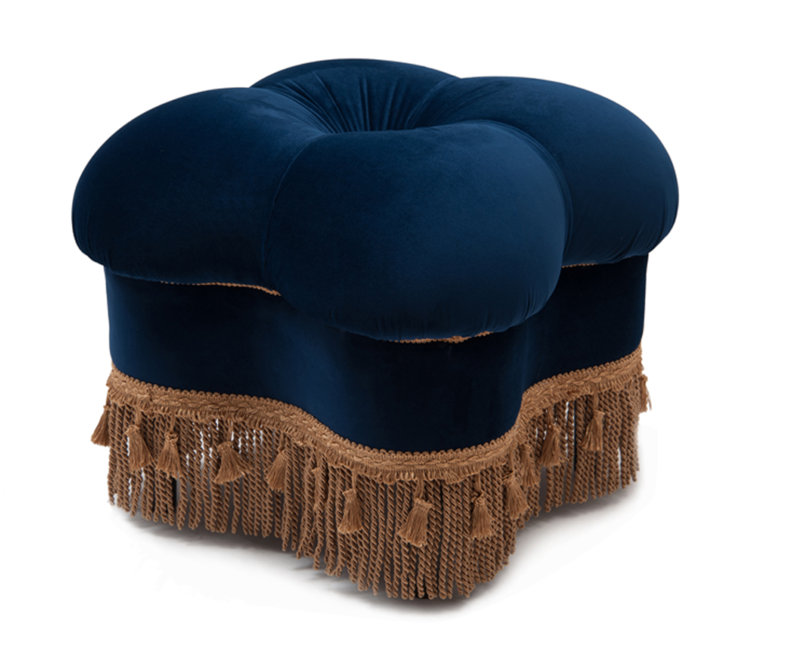 I bought this in the navy blue with gold fringe and I love it! It looks very elegant and is perfect in my living room. The only assembly required is screwing on the legs which takes a few minutes and requires no tools. reat size and scale for our walk in closet it is perfect for us! The quality is good and has held a couple hundred pounds no problem.